Women of all ages who minister to the spiritual and material needs of those who are ill, elderly or financially stressed. 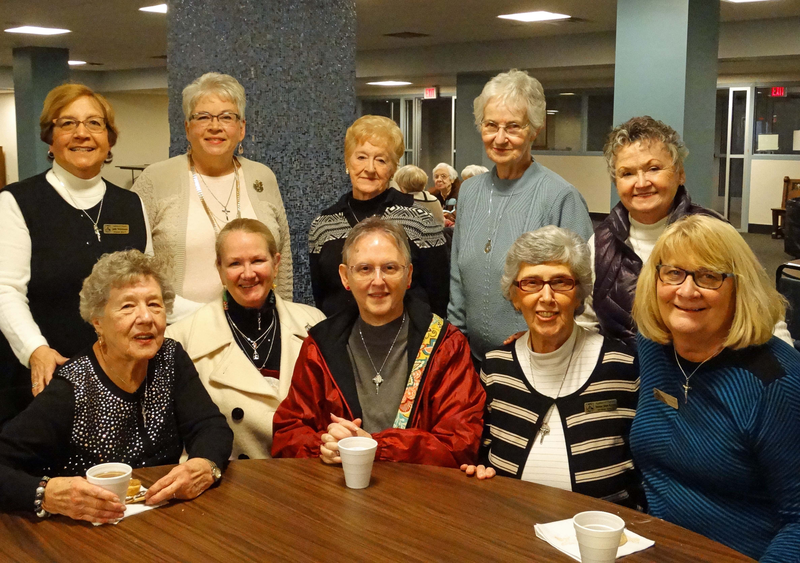 Women of all professions, homemakers and retirees who are motivated by the spirit of St. Vincent de Paul, St. Louise de Marillac, and St. Elizabeth Ann Seton to help others. The Junior Ladies of Charity are young women of high school and college age who are engaged in Christian Service on behalf of the Association of the Ladies of Charity. In most instances the Jr. Ladies of Charity are a reflection of the Ladies of Charity in their parish. They may, however, have projects specifically related to the Jr. Ladies of Charity. Our logo represents the values that we embrace as members of the Ladies of Charity.